As discussed with Sue this morning my husband & I are going to continue fostering Fleur until a suitable home can be found for her. When we picked her up on Tuesday she was extremely timid running away to hide & barking very loudly baring her teeth at strangers. We have now had her 3 days & all that has stopped, she greets strangers with interest, her tale wags & she does not bark anymore. I have made it my mission to get her trained in socialising. 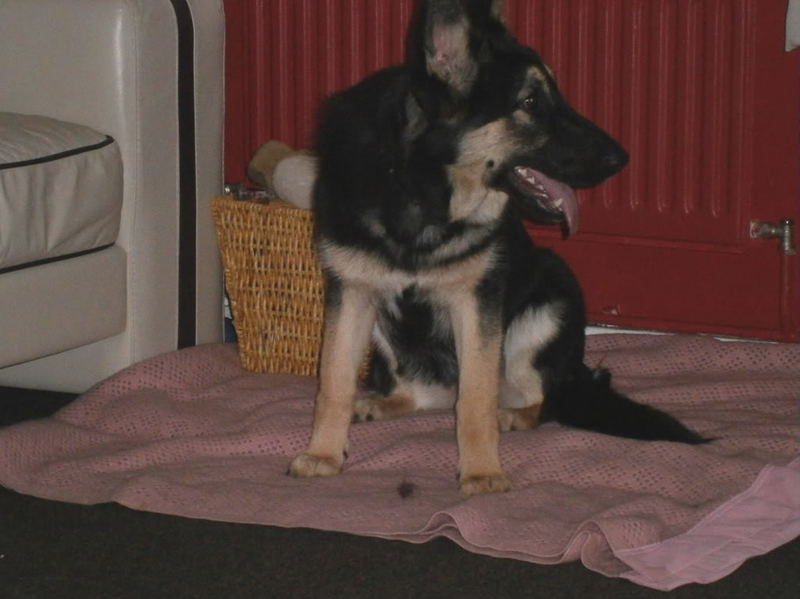 She is brilliant on the lead & has taken to our neutered GSD extremely well, they play together brilliantly. She was used to laying on sofa's but we have put a stop to that. She also sleeps on the bed which we have not been able to curb! However she is so lovable & cuddly that we don't mind! She loves being in the car too. She is in season at the moment & keeps herself very clean so their is no mess anywhere. We have completely fallen in love with her & would love to keep her but because she growled at our 1 year old grandaughter we cannot. We feel given time she would be ok as she was good with our eldest grandaughter who is 10, but my daughter has said she will not bring the baby here while Fleur is here. She really is a very loving puppy & deserves a loving home. 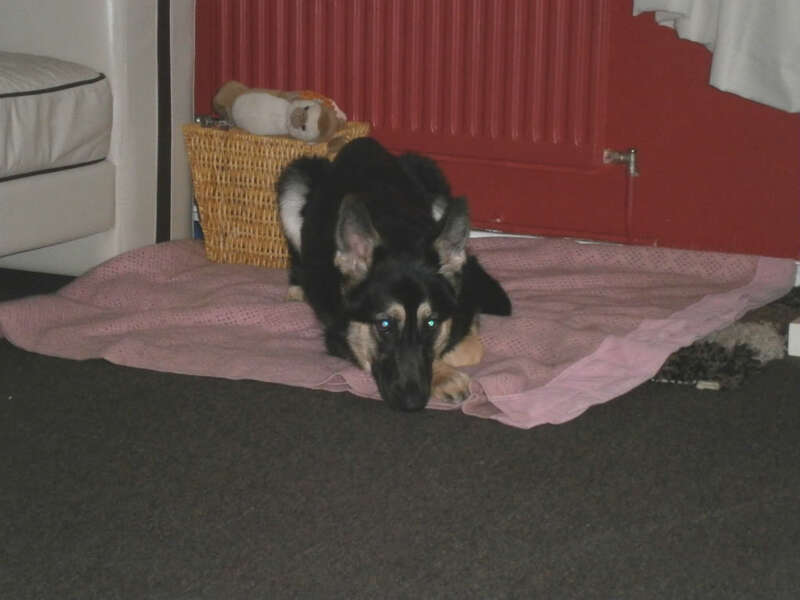 The reason she came into vigil was because of serious illness in her home & her owner could no longer look after her.